Saudi Arabia is bearing a greater burden for production cuts, while Russia is nowhere near the reductions it promised. That arrangement can’t last. I know a little bit about standing on one leg; my daughter has encouraged me to learn to water ski. It’s not easy at my age, in England, in winter. OK, I’m actually on two legs, but they are on one ski. I tend to wobble a lot and to fall over much more than I would like. It sort of reminds me of the current state of the OPEC+ oil deal that was updated in December. That is also standing on a single leg and starting to look a bit shaky. The deal had two main pillars (let’s call them legs) to hold the whole thing up. They were Saudi Arabia and Russia, the leaders, at least in volume terms, of the groups of countries that were party to the production deal. They agreed to take the biggest share of each group’s pledged output cuts — Saudi Arabia shouldering 40 percent of the OPEC burden and Russia assuming 60 percent of the non-OPEC contribution. With the first month’s data now published, it is clear that, while one leg is functioning strongly, the other is bearing little of the weight of the deal – and that could spell trouble for the future. Saudi Arabia cut even more than it promised in January, reducing its output to 10.213 million barrels a day, according to the secondary source data that OPEC uses to monitor its members’ compliance. That compares with a target of just over 10.3 million. To be fair, the country’s Energy Minister, Khalid Al-Falih, said at the time of the agreement that the kingdom would exceed its goal, so the report doesn’t come as a big surprise. What was a shock, though, was a more recent comment that Saudi Arabia would go even further next month and slash production to 9.8 million barrels day. That would take it to its lowest level since February 2015. Russia’s performance has been rather different. Oil Minister Alexander Novak said at the time of the deal that the country’s promised 230,000 barrel a day cut would be implemented smoothly over the first quarter, with January’s output 50,000-60,000 barrels below the October baseline. It didn’t even manage to reach that modest target – the cut was just 42,000 barrels, according to Bloomberg calculations. The rebuke prompted Novak to say that Russia is accelerating implementation of its cuts and that "the average February level should be at least 150,000 barrels lower than in December.” But Russia’s production rose between October and December and the reduction from the October baseline will be 120,000 barrels, or less than half of what the country pledged. It may not reach its target until May, just a month before the current deal expires. This could make little difference to the broader market – provided Saudi Arabia is willing to bear a greater burden so that the OPEC+ group as a whole still meets its target. Back to the water skiing. I haven’t been out behind the boat for the past couple of weeks because, by putting too much of my weight on my back foot, I strained my left calf muscle. My right leg didn’t protest at bearing the extra burden and it got me from one end of the lake to the other. But then it came to the point where it said “no more,” and the skiing had to pause. Similarly, the Saudi-Russian “bromance” may not survive this latest test. Does it matter? Well, it looks like the OPEC+ group is going to need to extend its output restraint in the face of soaring US production and weakening global demand growth. 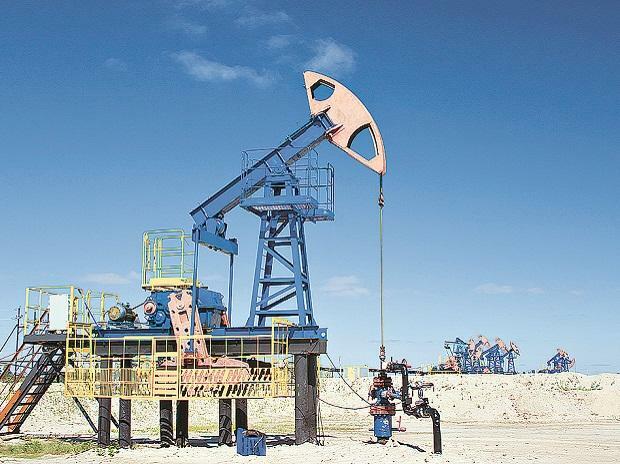 The three main forecasting agencies – the International Energy Agency, the US Energy Information Administration and OPEC – all cut their assessments of the world’s need for the latter’s oil in their latest monthly reports, published last week. Unless somebody lights a rocket under demand growth — and even a US-China trade deal may not be enough to do that — the OPEC+ output agreement is going to need at least two strong legs to stand on. Without them, like me on my water ski, the group’s hopes of buoying oil prices risk collapsing into chilly waters.